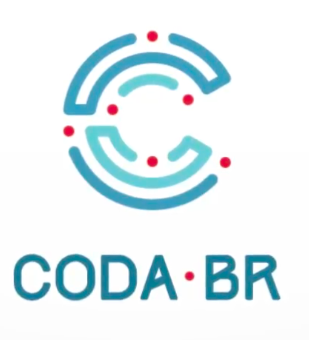 With the objective of sharing experiences and “getting your hands dirty,” the Escola de Dados (School of Data) is organizing the second edition of the pioneering Brazilian Conference on Data Journalism and Digital Methods, Coda.Br, on Nov. 25 and 26 in São Paulo. The idea is to bring together professionals from various fields to discuss common issues such as algorithmic responsibility, machine learning and privacy. Registration is open. Natália Mazotte, director of Open Knowledge in Brazil (the organization that coordinates School of Data), pointed out that the conference serves a community of data journalists that is growing and maturing in Brazil. While the organization's first meeting brought together 120 people in one day in May 2016, this time 250 participants are expected to attend two days of programming. "We still did not have a space where data journalists could exchange practical experiences, expanding their knowledge and revealing the methodology of their main projects. Today Coda.Br is this space,” she told the Knight Center. One of the highlights of Coda.Br is the discussion panel on the future of data journalism, with journalists Mar Cabra of Spain and Jonathan Stray of the United States. Cabra led the Data and Research Unit of the International Consortium of Investigative Journalists (ICIJ) during the 2017 Pulitzer Prize-winning Panama Papers investigation. Stray is now a journalist and computer scientist at Columbia University who has worked on the data teams at The New York Times and ProPublica. The program has more than 30 workshops with practical knowledge to be used in reports on subjects as diverse as elections, urban mobility and gender issues. Tools like Dataprep, My Maps, OpenRefine, Raw and Tableau will be used in workshops divided between the Padawan level, for beginners, and the Jedi level, for the more experienced. In addition to the one-hour workshops, the conference offers 'bootcamps': six-hour training sessions on programming in Python and R. "At least 80 percent of the event is more 'hands on.’ Bootcamps are more in-depth training, lasting six hours. Anyone who wants to go to the conference just to learn how to program in R, for example, will have 12 hours just for that,” Mazotte explained. The event is carried out in partnership with the Google News Lab and has the support of the Knight Center for Journalism in the Americas, in addition to Abraji, La Nación Data and the Python Software Foundation. *Ed. note: Natalia Mazotte is a collaborator with the Knight Center for Journalism in the Americas.